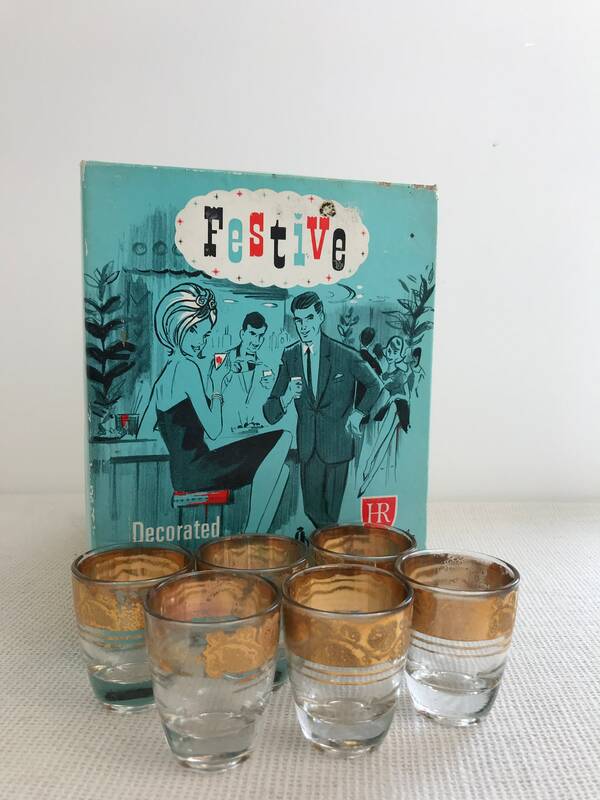 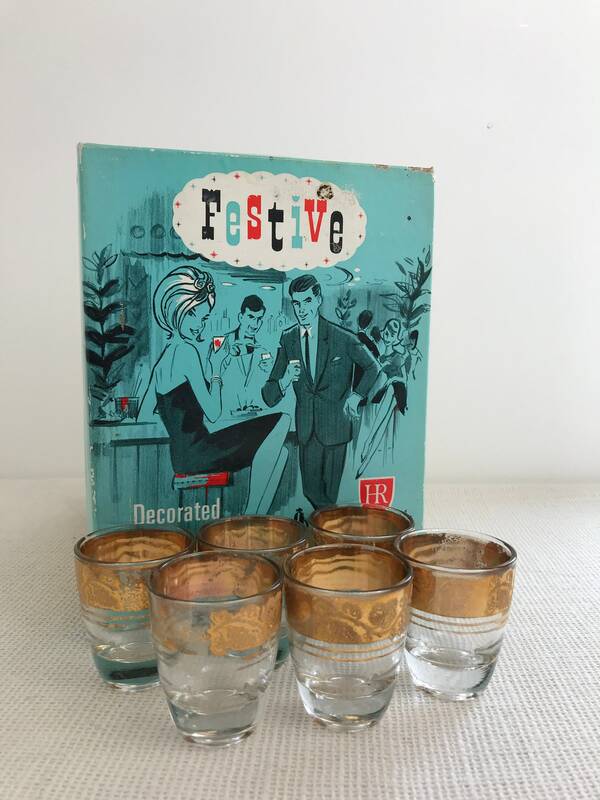 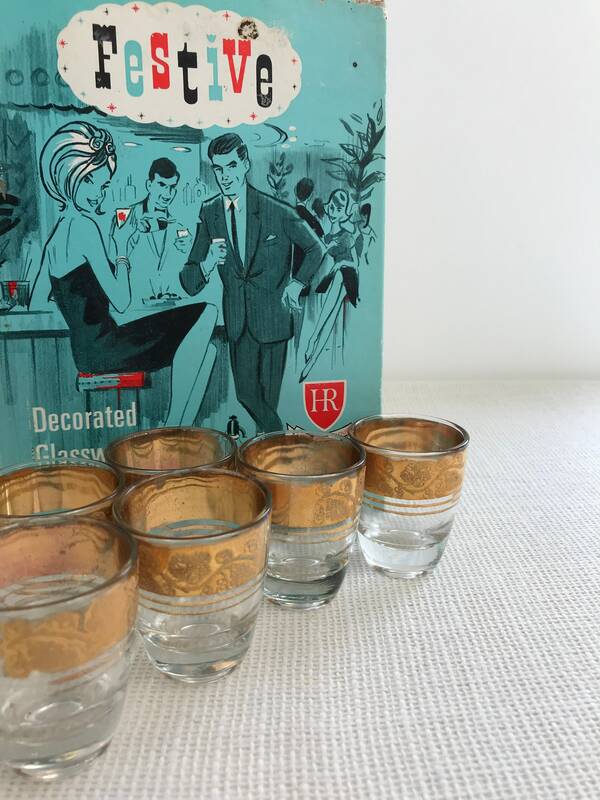 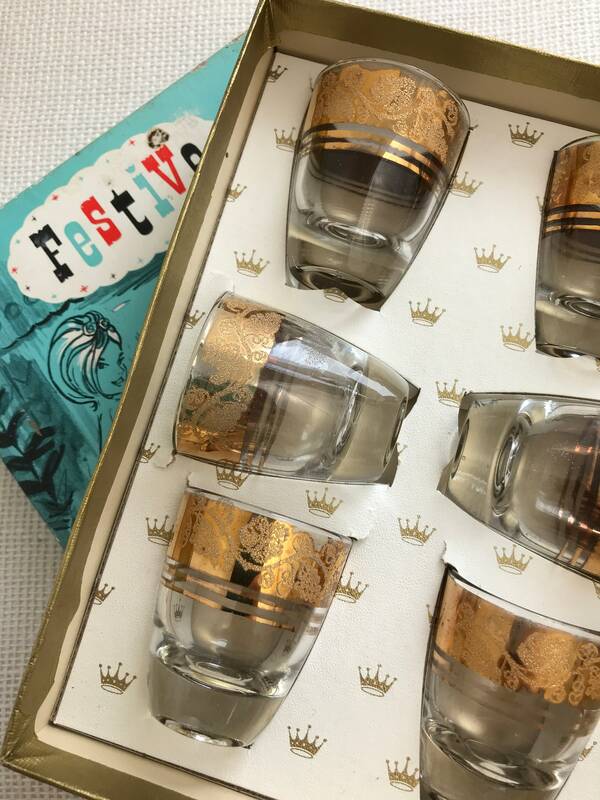 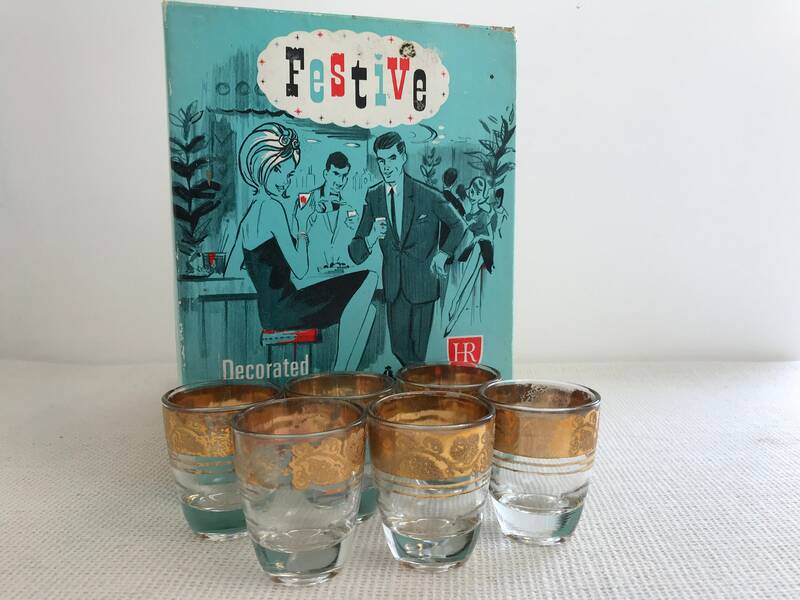 A set of 6 heavy bottom shot glasses in original 1960s MADMEN style festive box. 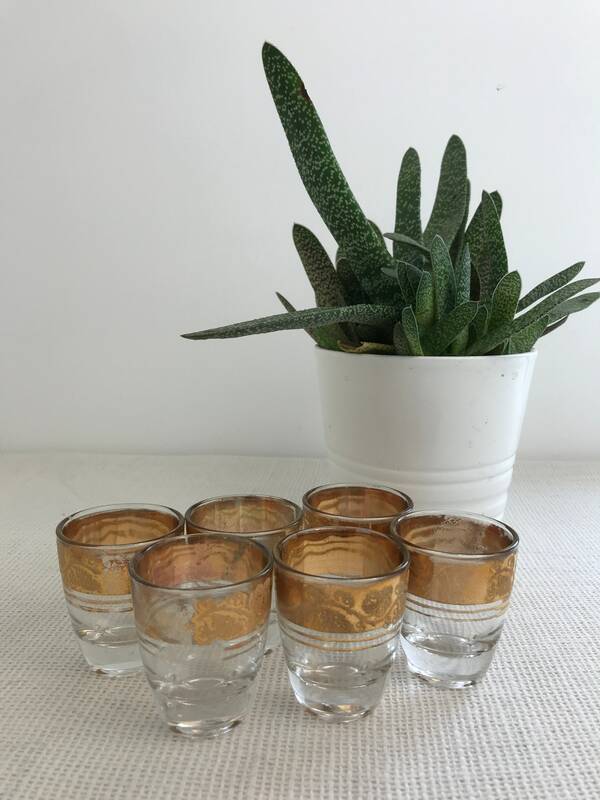 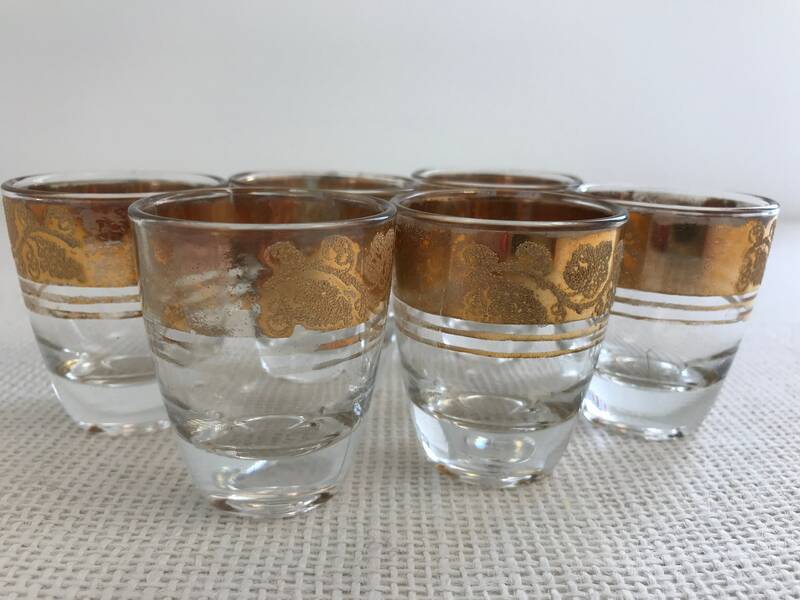 Lovely decorative gold rim pattern glasses which would make a super father day gift and add a bit of bling to that retro drinks trolley or cabinet! 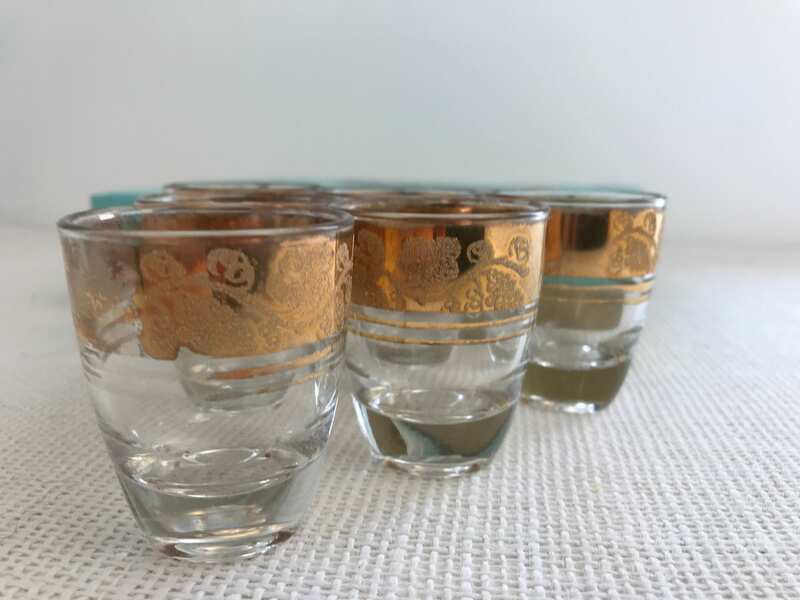 In good condition with no chips or cracks, some wearing to gold transfer.